Trapped within every human lives the spiritual heartbeat of the Soul. Like the seed of a flower, it needs nourishment to grow and open for its fragrance to escape. Mother India, the womb of our planet, holds energies stored in Her earth and temples by spiritual giants for those ready for this awakening. What is said about Mother India is that it is the only place on earth where an Avatar can take birth. Throughout the ages, sacred rituals have been upheld and it is on this unbroken line of Light, the Avatars enter. We are going for a pure energy experience visiting temples, purifying ourselves in the Ganges and walking on the earth where Saints have walked, lived and died. Using ancient meditation and mantra systems, we’ll open ourselves to the channels of Light that are stored in that highly-charged land of India. We meet as a group in Mumbai, India and after a day of rest our spiritual journey begins at the samadhi of Shirdi Sai Baba, asking for his blessings and guidance. Then to Tirumala to the majestic Golden Temple to have darshan of Sri Balaji, Krishna. Tirumala is considered one of the holiest temples in all of India and many songs have been written about this ancient holy town, "Tirumala, in all its right, is heaven. Its powers are indescribable. The Vedas have taken the form of rocks and appeared on Tirumala. Holiness has taken the form of water and is flowing as streams on Tirumala." From this ancient holy city we head to Hampi, a UNESCO world heritage site that was the center of the Vijayanagara Empire. Hampi is a magical land. The landscape for miles around is only of boulders, many enourmous, dotted throughout by lush green farms. A beautiful river meanders through it all. The ancient temples and structures in Hampi are constructed with rocks carved from the immediate area. A whole city carved from the rocks, Hampi is a a stunning and spiritually powerful experience. Rishikesh, the jewel of India, rests in the foothills of the Himalayas where the crystal clear waters of the Ganges flow down from the mountains. We will visit the sanctum sanctorums of ancient temples and utilize their powerful healing and blessing energies. 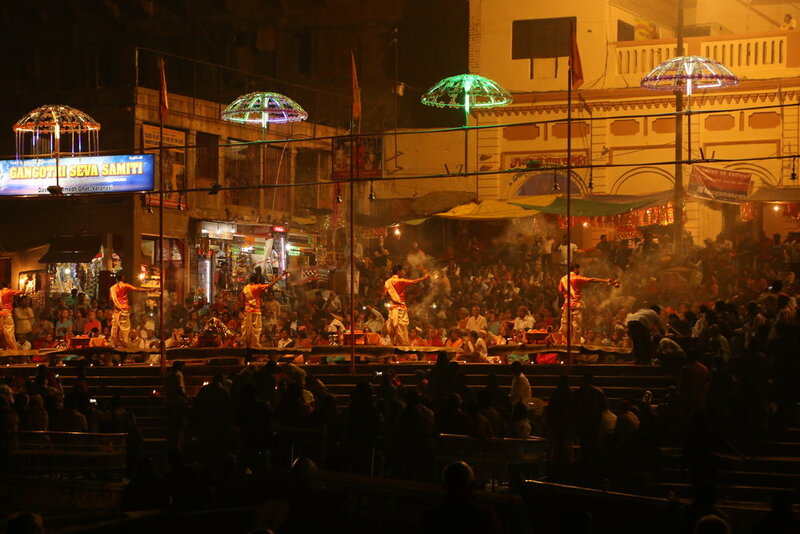 One entire day will be spent visiting the main power spots in the Holy city of Haridwar. This journey is for those ready to deepen their inner connection with the Divine. In order to hold your spot, fill out the registration form below and send in your $950 depoit.